My name is Karen McCort and I opened Deer Trail Pottery in 2009. Each piece of my stoneware pottery is made by hand, either thrown on the wheel or built from slabs of clay. The work is fired to cone 5 (almost 2200 degrees F) in an electric kiln. After many decades of teaching biology, I favor themes and colors of nature. My studio is in the Sacramento Mountains and sits on a hillside covered with paths used by mule deer and an occasional elk. "Working with clay returns me to the imaginative play of my childhood. Time is suspended as I get lost in the creative process and the challenges of a project. 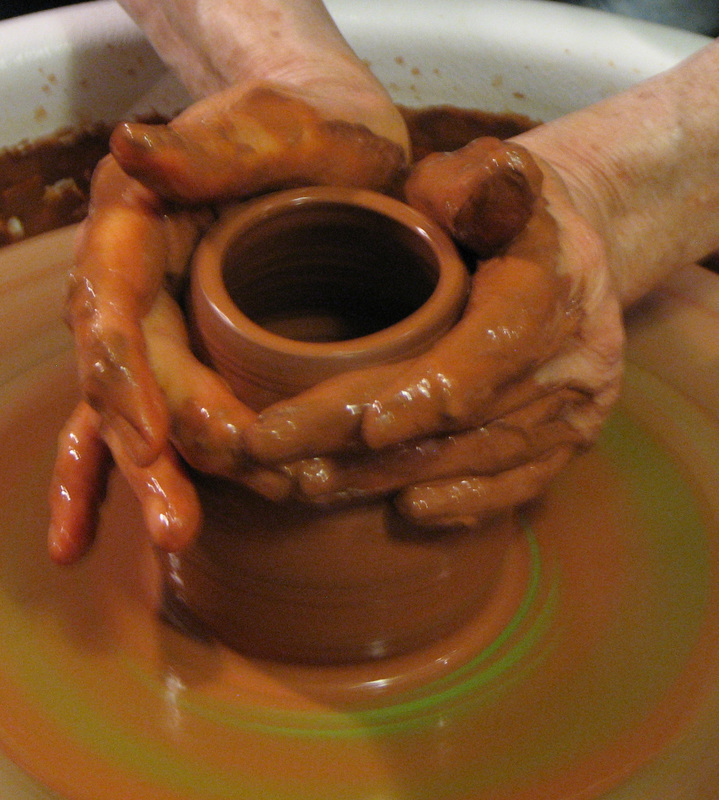 Clay has become my obsession and I throw pots for the pure joy of it."